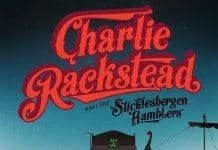 I fjor sommer ga Charlie Rackstead & The Sticklesbergen Ramblers ut platen Norwegian Classics, som ble særdeles godt mottatt både av denne skribenten og publikum generelt. NRKs nyttårskonsert med Rackstead er godt besøkt på NRKs nettsider, og nå står sommerens festivaler i kø for å presentere Rackstead og hans muntre kumpaner. Vi fant ut at det var på tide å ta en prat med Hr. Rackstead, for å finne ut litt mer om hans bakgrunn og fremtidsplaner. – Congratulations on the huge success of your debut album. How has it been received back home in Sticklesbergen? Thank you very much, the boys and me are quite overwhelmed by the response. But then again these are all fantastic songs, and the brilliant Norwegian artists who wrote them deserve the real credit. Good songs will still be good songs, no matter what language they’re performed in. I’m sure people back home in Sticklesbergen are very proud of us these days, and quite envious to, I believe. We get to travel Norway and see the country our forefathers came from, and I know there’s a lot of Sticklesbergeners who’d love that. – Tell us a little bit about your upbringing, and how it was to grow up as a NorwegianAmerican in Minnesota. Well you know, Sticklesbergen is a very quiet and secluded place in the North western parts of southern east-Minnesota, where 96% of the inhabitants have Norwegian roots. A lot of them from my great great grandfather Tudor Racksteads line. We’re all really proud of our heritage, and we all celebrate 17. Mai, and eat lootefish for Christmas. There’s a lot of loosecoftes in the streets. But as a young boy you always feel some kind of need to rebel against the old ways, and my way of rebelling was through music. The hardest music my parents listened to was Bjoro Haaland, so when I put on Dumdum Boys they were quite shocked in many ways. But as long as the music was Norwegian, they accepted it none the less. And that inspired my friends and me to start a band, and cover these rock songs in Norwegian, but every time we played at the annual Sticklesbergen country fair in old Lundegaards cornfield, a lot of the kids there didn’t get the lyrics. So that’s when we started to translate stuff. And you know, the rest is now history in the writing. – Did you have a lot of Norwegian influences when you grew up? Food? Movies? Music? Stories? I remember seeing «Orions Belt» on PBS when I was a kid, thinking that Norwegians are way better at writing songs than making movies. Not many Norwegian movies found their way to the states, but of course there was always Norwegian food about in Sticklesbergen. Lefse, lootafish, koomle… all kinds of stuff. We were also told stories from the «old country» by our grandparents, about how they struggled and toiled to put food on the table, and make it through the hard winters. It really wasn’t before I came to Norway myself, I actually realized that also Norwegian actually laugh and have a good time. – What was the first Norwegian song you remember hearing and really falling for ? The first recorded song that really made an impact, was «Minnenes melodi» by Engerdahl and Stordahl. My grandma had that on a cassette, and used to play it when she knitted her wool mittens, and it always made her cry her heart out. That was also the first song I tried to translate to American, with grandmas help. She spoke Norwegian fluently, and was completely indispensable in the beginning. We’ve actually played that song on Norwegian radio once, and I still think it’s a beautiful song. – What made you dive into the Norwegian treasure trove of contemporary rock and pop, to create those beautifully translated lyrics? Well, as I said we played these songs as pure coversongs at the country fair early on, but sang them in Norwegian. Well, as close to Norwegian as we managed, anyway. And a lot of kids there loved it when we pulled out Jokke and Dumdum and Raga and those things, but they didn’t get the lyrics. And I always thought it was too bad they didn’t get the desperation in «Forelska I laerenen» and the political criticism in «Levva livet». So to make our audience really appreciate every aspect of these amazing songs, we realized translation was the only way. Either that or teach everyone to speak Norwegian, but that would have taken too long. 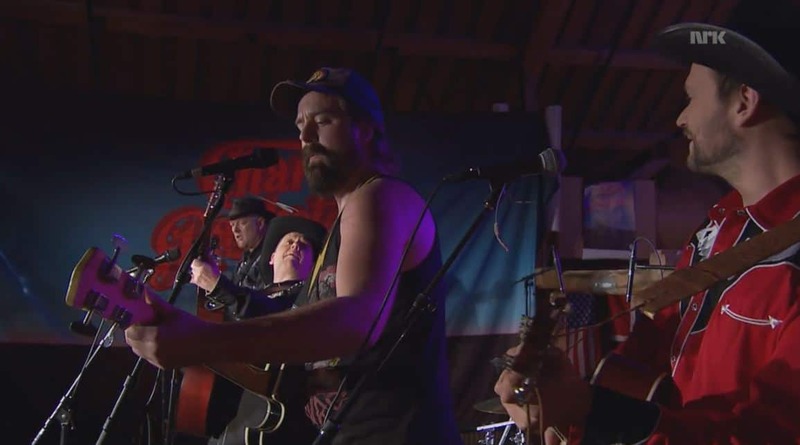 – What’s behind the choice to reinvent these songs as country music ? I guess that’s the price you pay for growing up in the mid-west. Everything is banjo out there, and if we had come along with electric guitars and fuzz pedals, the old folks would’ve lynched us right there and then. But we also like the thought of merging two musical cultures like we do now, and bringing something of ourselves into the mix as well. After all, we’re not trying to BE Knutsen & Ludvigsen, we just want to let Americans hear their songs, and understand the lyrics. That’s why we’ve kept our own musical expression. – How do you feel the Norwegian music and especially lyrics differ from american songwriting ? I beleive a good song is a good song. Period. But country music is all about storytelling, and there is a lot of that going on in Norwegian music. Stories about living and loving and struggling, that everybody can relate to. And to Norwegian Americans, it’s especially fascinating to be able to relate to a Norwegian song, cause it makes us feel even more Norwegian in our hearts. It kind of proves that we’re the same, even though we live in different corners of the world, and that’s a really cool thing. – What does a typical Norwegian popsong have to contain to be chosen by you for translation ? A good story, a good tune, and of course the affection of the audience. We pick songs that we and many others have heard before, and try to give the listeners a new experience to a familiar song. And I think that’s one of the main reasons that also Norwegians like to hear them. Cause they already know them so well, but maybe get a whole new perspective on them when it’s preformed like American country music. Some Norwegians have even told me they never really thought about the lyrics to a song before they heard it in English, cause they have grown up with it, and kind of took it for granted. But Norwegians speak English so well, that they can really listen to the words in our versions too, and then see them in a whole new way. – What do you feel the Norwegian classics could teach the world ? If anything, that Norwegian popular music is really good! I’m convinced that a lot of these songs could have been huge international hits, were they written in English. But that doesn’t necessarily mean that they should have been! You never know what songs are going to be hits, but now these songs are already part of the soundtrack of several Norwegian generations lives. Foreigners can hear the American versions and learn what Norwegians have sung along to in their own language, and that way maybe catch a glimpse of Norwegian everyday life through the last 30-40 years. But I think the best way to listen to our album, would be to hear the original songs first, and then use our versions as kind og a musical google translate. Cause the originals are by far the best! – One of your concerts was shown on national TV over here on New Years Eve, and was an enormous success. Are there any plans to show this in the US, perhaps a huge DVD launch to follow? The show in Trondheim before christmas was supposed to be a venture with our good friends in the national radio show «Loensj», Torfinn and Rune. But suddenly they asked if it was ok if they put up some cameras as well, which we agreed to. It was a bit hectic, cause they occupied a lot of space, so the show got sold out in just a few days. But it turned out really nice, and the response has been overwhelming! Whether it’s turned in to a DVD is all up to the NRK, we haven’t really considered that ourselves. We’ve got more than enough on our plate just playing festivals and venues around Norway in the time to come. 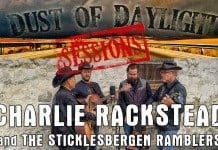 – What are Charlie Racksteads plans for 2015 ? As of right now, I just know we’re going to play shows from way down south to way up north in Norway during 2015. Our management are puzzling together a list of dates and places almost as we speak, and we’ll post confirmed gigs on our Facebook site as soon as possible. Thankfully we have fantastic help from our Norwegian management and record label Ramalama/Oh Yeah Records, which is of course Dumdum Boys is a part of. We also get to play with them again this year, as we did in Egersund last year, at the Roervik dagene in Trondelag on July 23rd. It’s a huge honor for us to be able to work along side our own musical heroes like that, so we’re just pinching our arms and enjoying the ride. 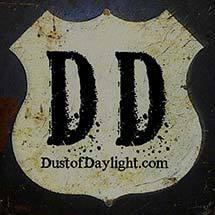 We will of course also try to get some new songs going, and hope to visit our friends in the radio again in between gigs, so just keep your radio tuned and your ears pealed…. Thanks to Mr. Rackstead for taking time out of his busy schedule to talk to us, og takk til Rune Nilson for å ha formidlet kontakt.